More UCDP members defect to DA - SABC News - Breaking news, special reports, world, business, sport coverage of all South African current events. Africa's news leader. 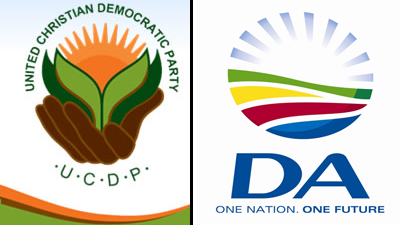 Eighty members of the United Christian Democratic Party have defected to the Democratic Alliance in the North West. This brings to 200 the number of defections by UCDP members over the past few weeks. These former UCDP members have given the long-standing leadership battles within the party as one of their reasons for seeking an alternative political home. Some of the residents of Ward 31 in Setlopo village in Mahikeng express their decision of joining forces with the Democratic Alliance. They say Kgosi Mangope advised them to join any political party of their choice, but not the ANC. Another member adds that the DA is the only good party in South Africa as it fights against corruption and fights for service delivery. Democratic Alliance leader in the province, Chris Hattingh, says he’s hopeful that by receiving new members, they will aggressively grow their support and become an official opposition in the province. UCDP National Chairperson, Celia Ditshetelo, says they are not fazed by the defection of some their members. However an analyst from the North West University, Professor Andre Duvenhage, has a different opinion. He says the latest defection will have a negative impact on the UCDP during the coming election. Although the National chairperson of the UCDP has refuted that former Bophutatswana leader Kgosi Lucas Mangope might coin the DA, some of his supporters have confirmed that he told them that he might vote for DA. When contacted to confirm Mangope’s membership, the DA leader in the province says there are talks with Mangope to join the party.